It has been a while…I still have 6 weeks until my due date. I am hanging in there, but that is about all. The kids are keeping me busy driving to and from school, Scouts, and American Heritage Girl meetings. I am still on top of breakfast with muffins and french toast available for breakfast in the freezer. Also, I have homemade oatmeal packets and Nutella on toast is available. I keep a large supply of bananas on hand and the kids have been eating them like crazy. I love it! Everyone seems to be happy with those choices, so it is all good. I have been keeping up with my dinner plans too. So helpful. I have been making sure that I have all of the stuff necessary and am trying to get it prepped before the kids get home so that then all I have to do is put it in the oven. This system has been working well. My energy level is pretty low, but on the weekends I have been trying to keep up with the breakfasts by making muffins etc. so the freezer stays stocked up for the next week. I am getting pretty anxious to get this pregnancy over with. I want a healthy baby of course, but I am so tired of being tired and miserable. 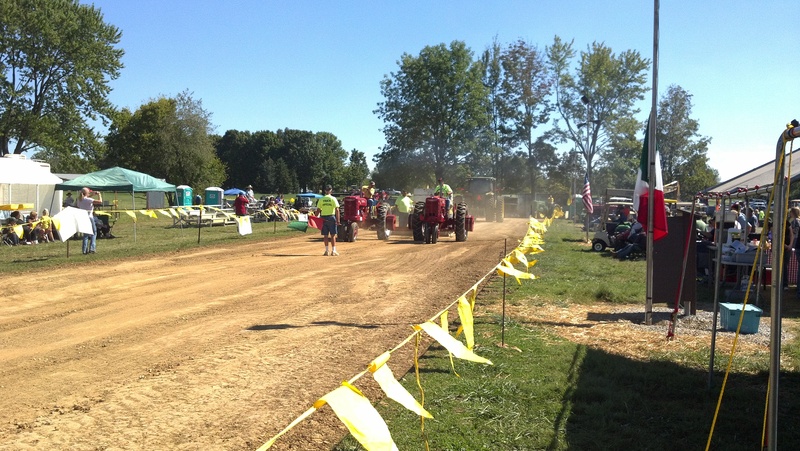 I am really feeling my age…and then some. Here’s to hoping the next few weeks fly by…quickly! 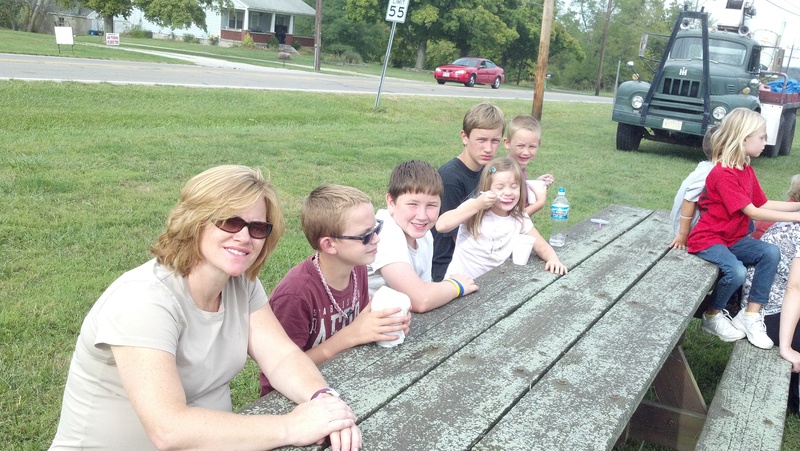 I’m feeling a little more energized, my kids…not so much! I am feeling a little better. I have been getting to bed earlier (because of my husband making me) and I believe it has made a slight difference in my energy levels throughout the day. Don’t get me wrong, I am not ready for the Olympics or anything, but I am able to be up and productive more than when I was last pregnant. Baby steps, right! The change in weather has been hard on the kids. J is tired, M, my usual allergy kid is doing fine (go figure), R is fine, T has lost his voice, has a sore throat, and tons of snot, S had a really sore throat, but it is finally better, and A has a runny nose, crazy voice, and sore throat. So far hubby and myself are doing okay. I am glad it is Friday so we can relax and take it a little bit easy and let everyone hopefully recover over the weekend. 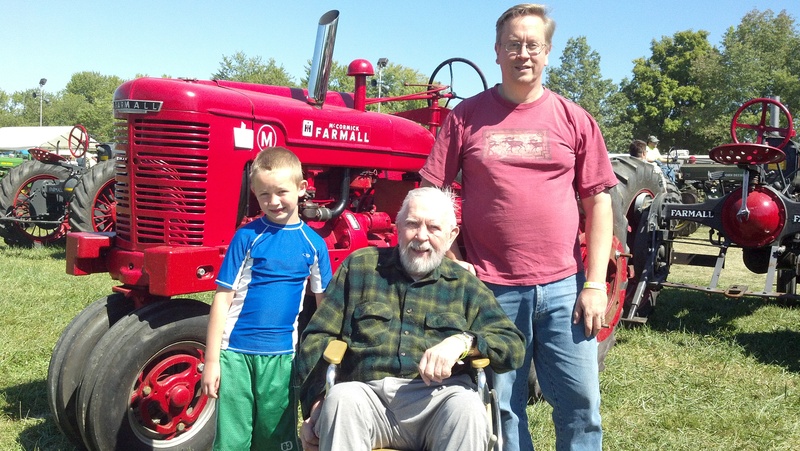 My husband, FIL and S in front of an old Farmall H tractor. 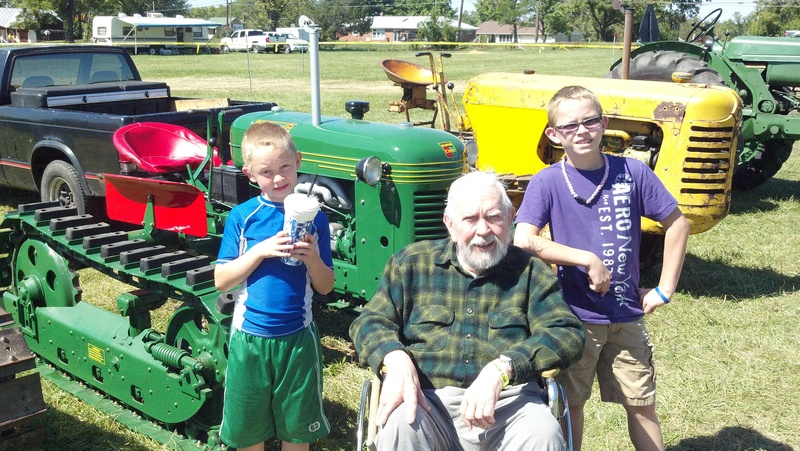 T, S, and FIL in front of an Oliver crawler. 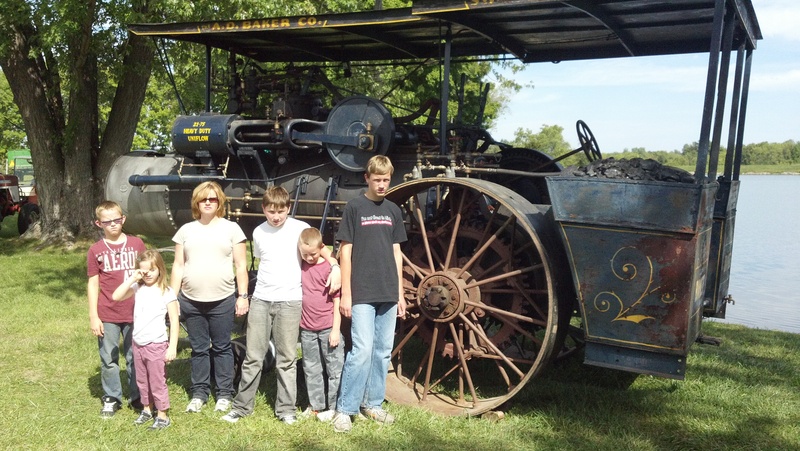 Most of the kids and me in front of another old tractor. Can you see their enthusiasm?! 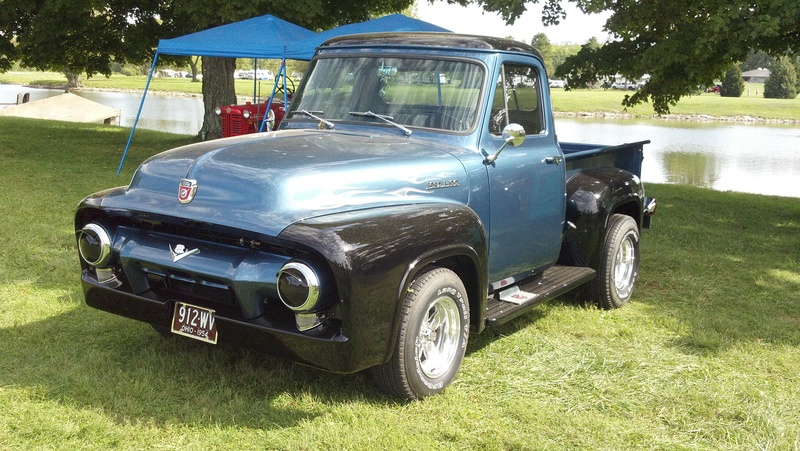 My husband really wanted that truck! Thankfully it wasn’t for sale. 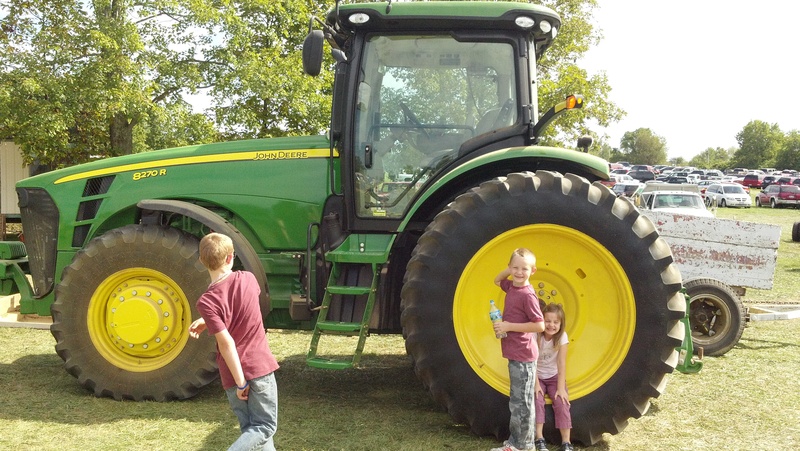 The two little kids couldn’t believe how big tractor tires can be! Enjoying a snack while watching the wheat being threshed.